Innovators and creators have filed a joint letter opposing Europe’s infamous Article 13 copyright proposal. We are now just a week away from a critical vote on Article 13. The vote is set to take place June 20 or 21st. 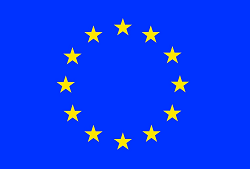 Digital rights advocates in Europe have been pushing hard against the proposal. The proposal itself will mandate platforms adopt copyright filters that would block all alleged infringing content. In the days since the start of the campaign to stop Article 13, advocates have dialed up the pressure to stop the copyright proposal. They say it would mean the end of Internet memes, kill satire, and put onerous new restrictions on bloggers to name a few problems. Unfortunately, as time has gone on, it seems that the prospects of stopping the proposed law, seen by innovators as “carpet bombing the entire digital world“, has grown more dire. The Electronic Frontier Foundation (EFF) says that the prospects have grown worse for those hoping to stop this assault on the Internet. They say that lawmakers are increasingly doubling down on the proposed laws. It is hoped that logic and reasoning would be enough to sway the politicians on this matter. The last time we saw this kind of push back was when there was when the same people pushed to save the Internet in the US. Unfortunately, the American regulators ignored sound logic and reasoning and voted to scrap network neutrality. Obviously, innovators are hoping their voices will yield different results this time around. With the vote being merely a week away, time is running short to sway lawmakers to vote against these measures. So, in these last crucial days left, it is either now or never that European’s voice their opposition towards Article 13.